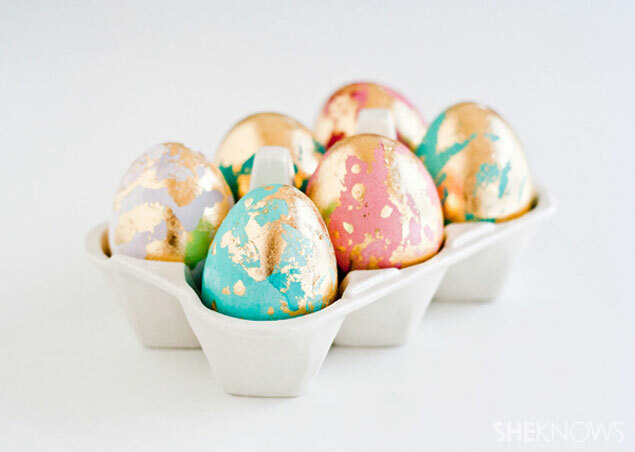 DIY Gold Leaf Easter Eggs – If you want a fancier version of the classic dyed egg, this is a great tutorial for adding a metallic twist with gold leaf! DIY Thumbtack Easter Eggs – When I first saw this tutorial I thought (Say Whaaaat!?) there is no way thumbtacks and eggs can be a good match. 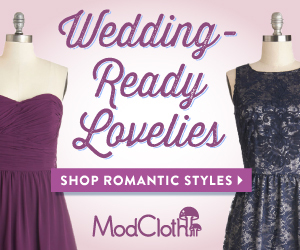 Well, in fact, they are! 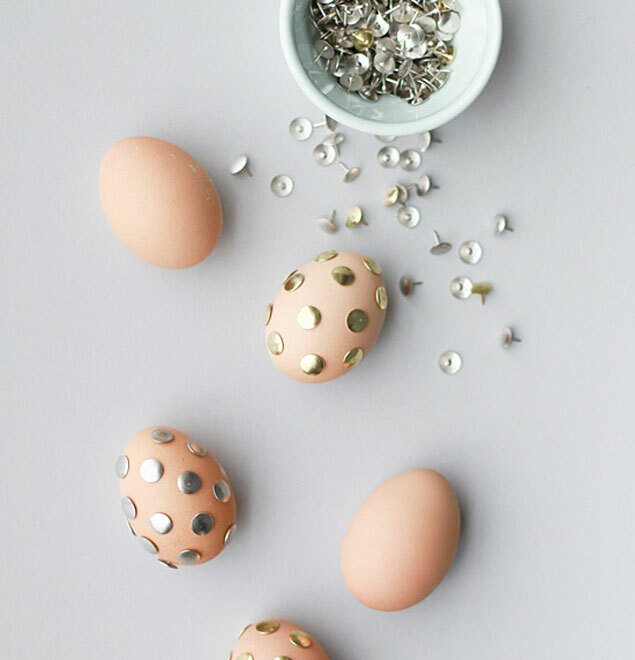 I would never have thought to decorate eggs this way but they are super cool and you end up with a metallic polka dot design. As you know, polka dots are my fave… so this DIY gets an A+ in my book! DIY Whimsical Easter Eggs – Perhaps you’d rather a more playful approach? 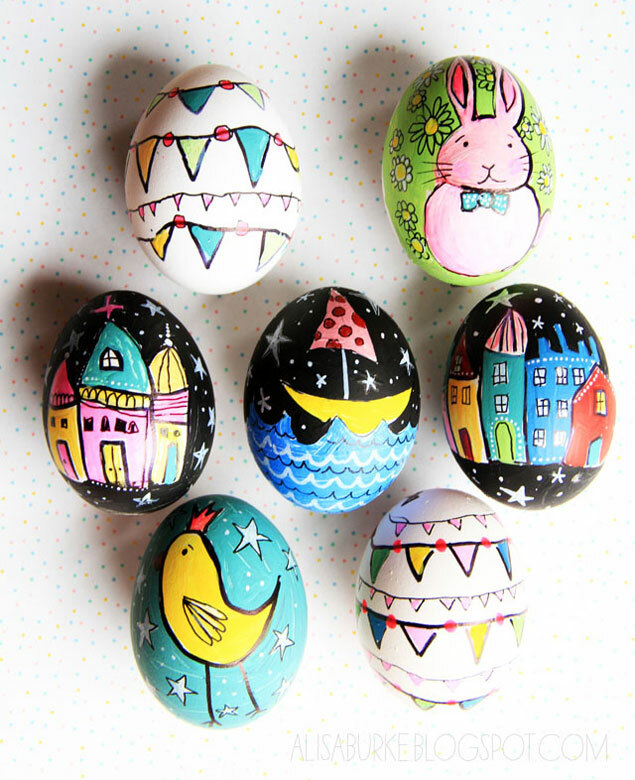 These quirky eggs are done with a mix of acrylic paint & sharpies (or any permanent pens) and they are adorbs! 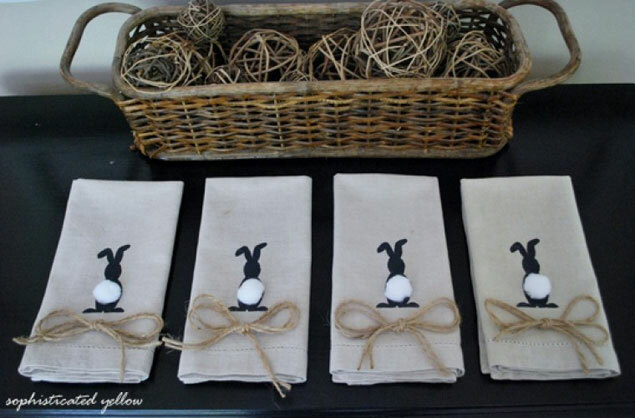 Burlap Bunny Table Runner – This burlap table runner is the sweetest! I love the addition of the fluffy pom tails. This will definitely give your Easter guests something to admire. 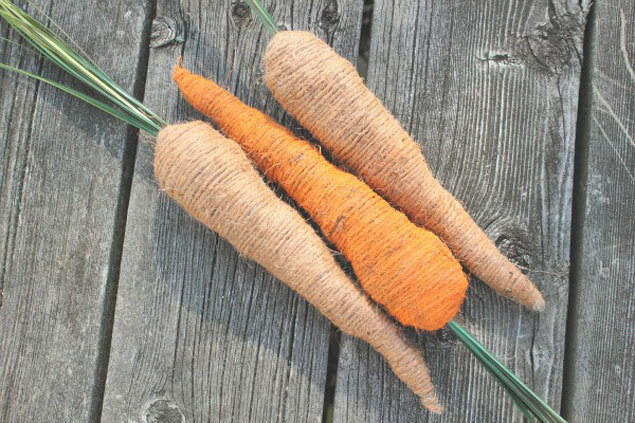 DIY Easter Carrots – These newspaper and twine carrots are another fun option if you’re looking for decor or accent pieces for your Easter celebration. 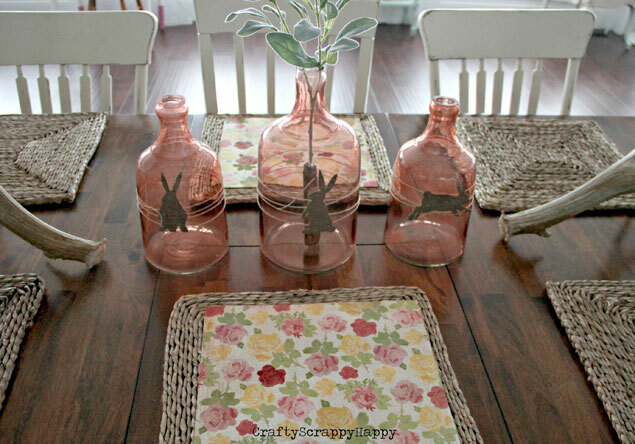 DIY Simple Easter Decorations – I love this next tutorial because it is a cute, non-permanent way to dress up vases or vessels that you already have on hand. 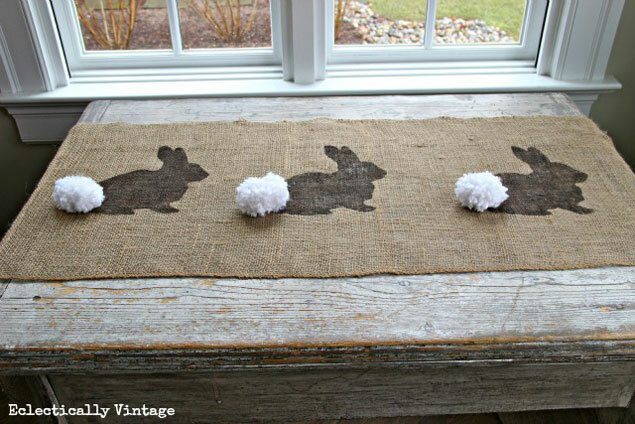 All you need to do is cut out your bunny shapes and use twine and glue dots to decorate! 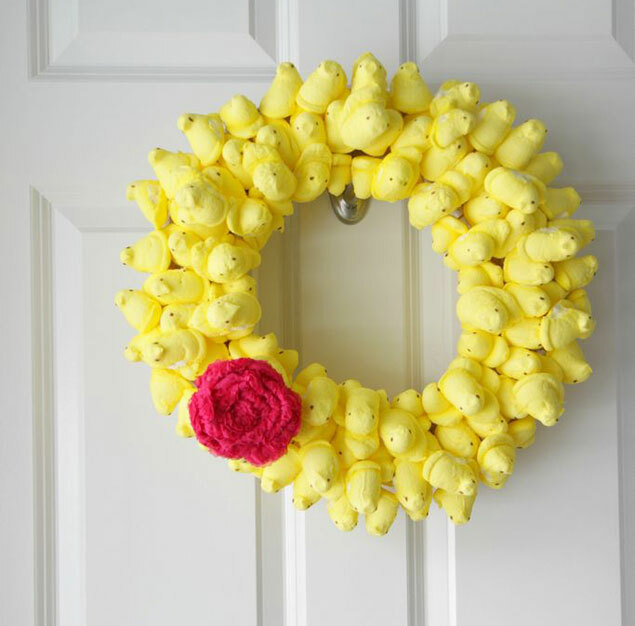 DIY Peep Wreath – I know many people who enjoy indulging in these sugary little treats. But me? Eat them? I’ll pass. Peeps are cute. Sure, yellow little chicks that go quite well with the whole Easter theme. So when I saw a use for them that didn’t result in them sitting in my belly, I was delighted! 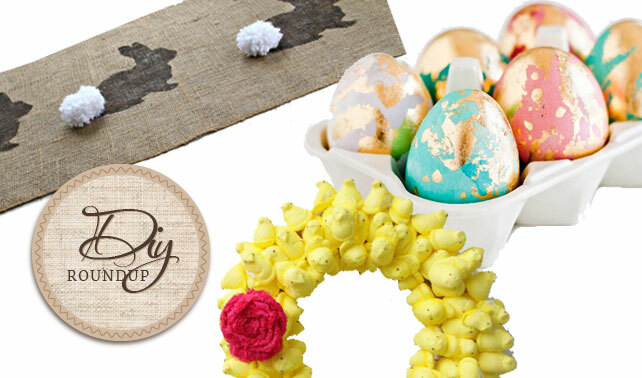 Are you DIY-ing any of your Easter decorations? Share in the comments!